WARN 27550 XD9000i Winch Review: Is It the Best Option to Choose? The WARN XD9000i has a distinctive feature from the classical electric scheme. The switch box and remote control are located inside the winch. This makes it possible to exclude additional wire connections. Such construction significantly increasing the reliability of the winch. XD9000i has reliable rubber stuffing boxes at key connection points, which can create a barrier to water penetration. The winch body made of aluminum alloys wich is why weight does not exceed 39 kg. Basically, the technical characteristics of the XD9000i winch are almost standard. Engine power of 4.6 horsepower able to pull SUV weighing 2500 kg. The speed of cable winding onto the drum without load to 11.6 meters/min. Reliability of work is ensured by a three-stage planetary gearbox with a gear ratio of 1:156. XD9000i is equipped with everything necessary to perform its functions. There is a 38 m long cable with a diameter of 8 mm fit on the drum. The large length of the cable makes it possible to extend the working area of the winch, which is undoubtedly a benefit of the model. Is 27550 XD9000i the Best Option for Your Vehicle? The winch is mounted on the special bumper or on the platform (Multi-Mount Carrier) with an easily removable installation. Series “I” are not suitable for the internal installation or require significant modifications on the car. In any serious off-road equipment, you will see the WARN XD-9000i electric winch more often than in any other winches. The 3-stage planetary gearbox, the ability to develop high speed at low efforts during the long operation of the winch, is just a few answers to the question why. 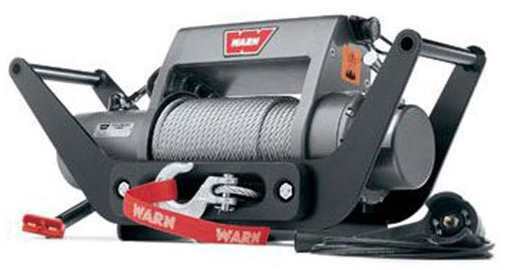 For a long time this winch was the best-selling product of WARN. It combines sufficient power, relatively compact dimensions and good reliability. It can rightly be considered the optimal option for not very heavy off-road. It is designed for cars of medium weight class with the wheel formula 2×4 and 4×4 used in emergency situations (ambulance, police, emergency services, etc. ), search parties, exploration in conditions of partial or complete absence of roads, expeditions, traveling, hunting, fishing, offroad sport. WARN XD9000i are well proven in conditions when it is necessary to perform the work in the most difficult and responsible conditions. Winches WARN XD9000i have proved their durability and power when used in extreme situations, as well as in those cases where a reliable and uninterrupted operation of the mechanism is required. It should be noted that they are perfectly adapted to the complex climatic conditions of our country and can be successfully used in any region. 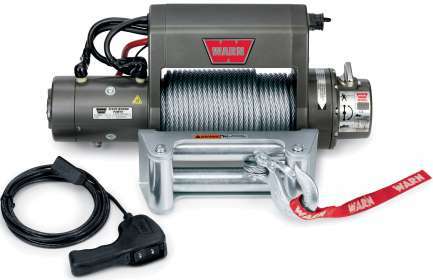 The Warn XD9000i winch presents a protective design in a combination with complex feedback. It provides the long-term high-speed operation being ideal winch for an SUV, truck or tow truck. Powerful winch with high line speed.